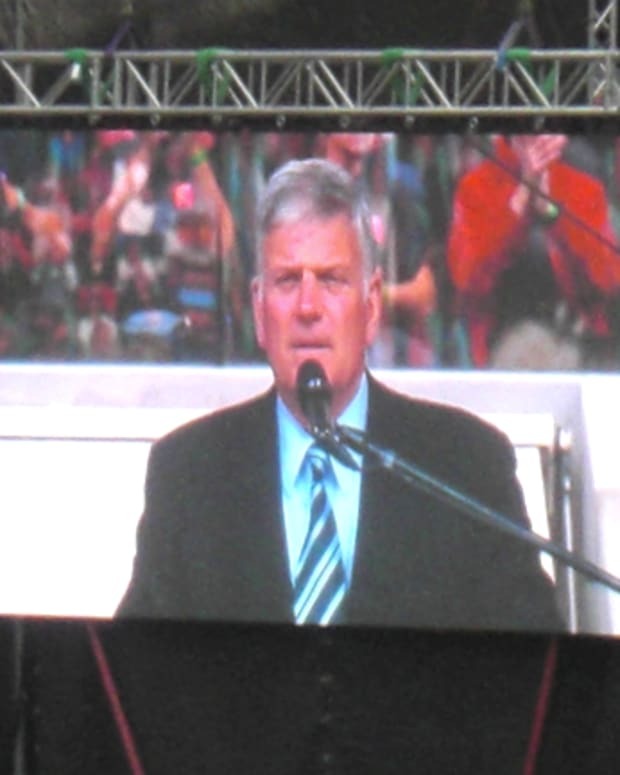 Evangelist Franklin Graham told CNN host Carol Costello on Dec. 15 that the U.S. government should follow “Biblical principles” and not allow Middle Eastern refugees fleeing ISIS terrorists into the country (video below). 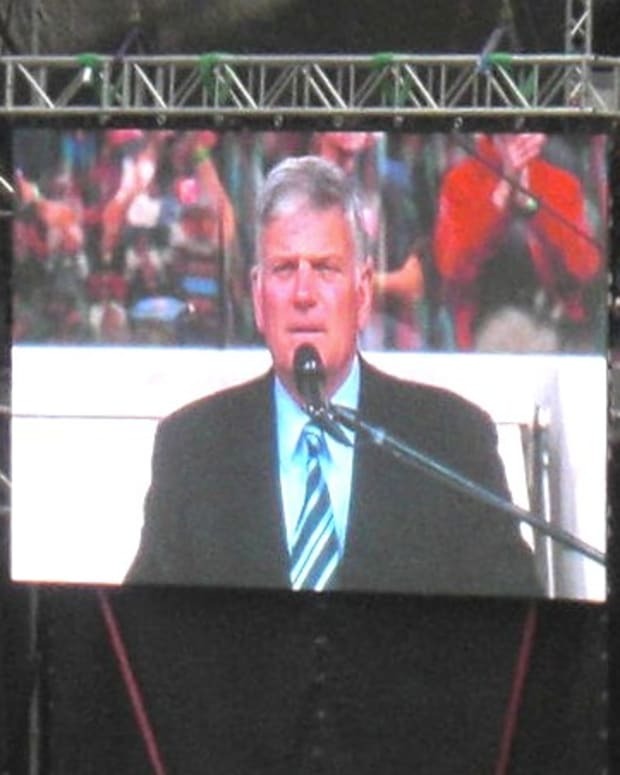 Graham appeared on the cable channel to promote his Decision America Tour, which is traveling to all 50 states, notes Raw Story. 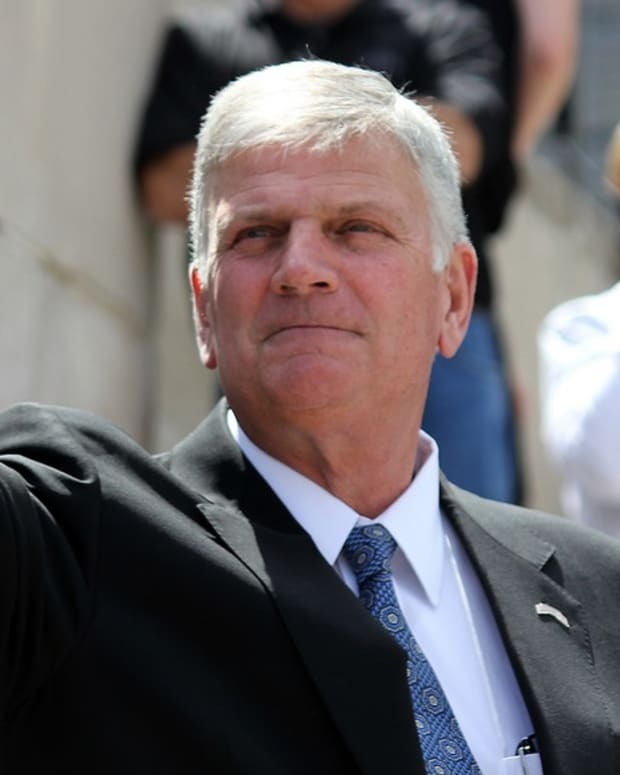 "And then I want to encourage Christians to get out and vote, and to vote for politicians that support Biblical principles, Godly principles, because those principles work," he said. 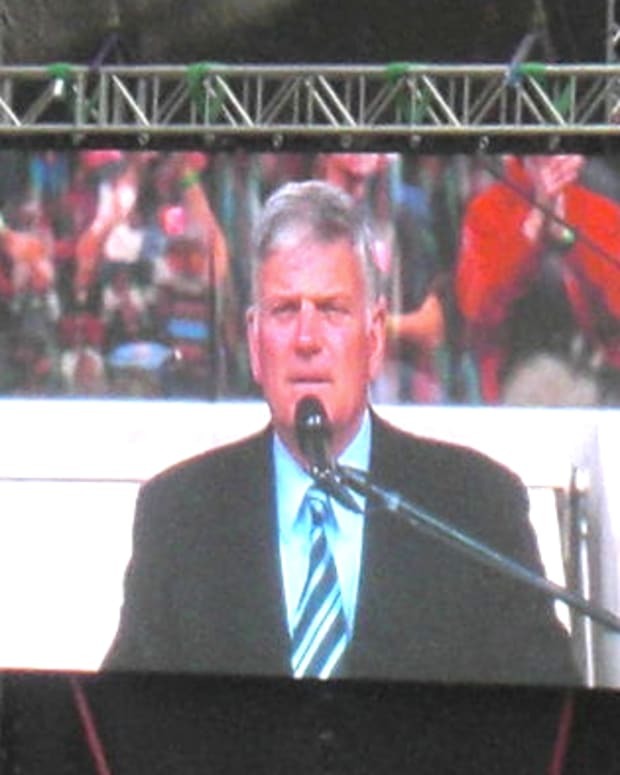 "We need more Christians in politics. I want to encourage Christians to run for political level, but I’m not just talking at the presidential level; I’m talking about all levels of government. We need Godly principles." Costello reminded Graham that the U.S. is a country of many faiths, to which Graham replied, "But God&apos;s principles work." 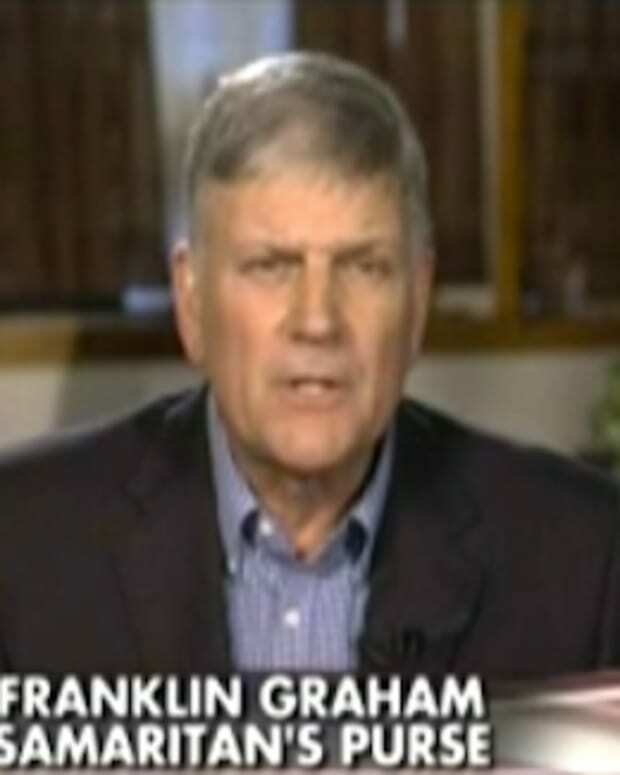 "Well, first of all, I don&apos;t believe in banning Muslims from coming," Graham replied. "I think we should put a halt on immigration because our borders are broken until we have a proper system to vet people ... all people, but especially those coming from the Middle East right now." Graham admitted that some families were fleeing for their lives but added that many young men of "military age" were immigrating. Graham said he wanted to stop immigration "from that part of the world" until there was a system to vet them, but failed to mention the vetting system that is already in place, as posted by the Refugee Council USA. "For some time I have been saying that Muslim immigration into the United States should be stopped until we can properly vet them or until the war with Islam is over," Graham also noted in a Facebook post on Dec. 9. In reality, the U.S. has not declared any war on a country or religious faith since 9/11. “Is Islam compatible with American values?” Costello later asked. “I don’t think so,” Graham answered. Graham added that he doesn&apos;t "go out and preach against Islam" or Muslims. 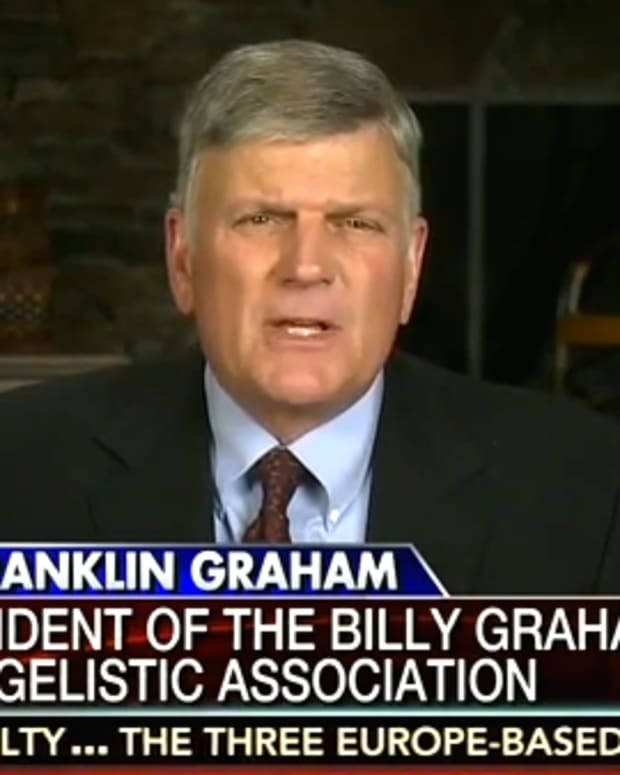 However, Graham proudly told Fox News in 2010 that he called Islam "wicked and evil" after 9/11. 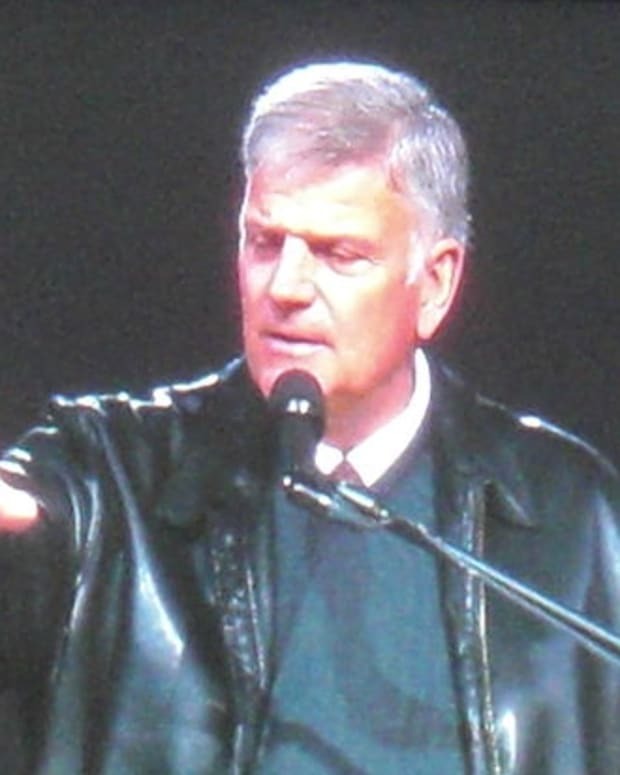 Graham told Costello that the Constitution and U.S. differed from Sharia Law regarding women and human rights, but he failed to mention that Constitution was written by a majority of slave owners who didn&apos;t allow women to vote.